The tumor is usually at the level of the occlusal plane or below it. The lesion is usually painless in early stages and only when it becomes ulcerated and secondarily infected or invades adjacent nerve, pain is the noticeable feature. 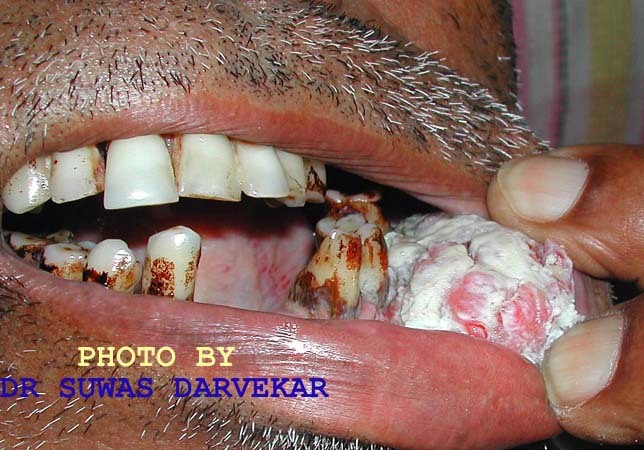 They may be proliferative warty exophytic growth with little fixation or deeply ulcerative invasive lesion. The proliferative lesion though it looks dangerous is easily treatable and long-term prognosis is good as the metastasis to the local lymph nodes is relatively late. 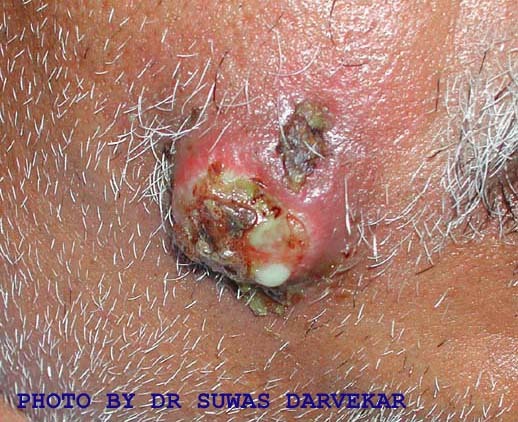 Whereas the ulcerative lesion is not so easily noticeable in the early stages but is more dangerous because of their invasive nature and the metastasis to the local lymph nodes is very early. The treatment depends on the extent of the lesion. If the lesion is not extensive and has not invaded the underlying tissues and the lymph node then just the resection of the cheek is the treatment of choice. But in extensive ulcerative invasive lesion with lymph node involvement, radiation therapy combined with commando operation is performed.